Our latest article in the Tribune Herald. Announcing the released of “Carved by Sand”, our new Collection. 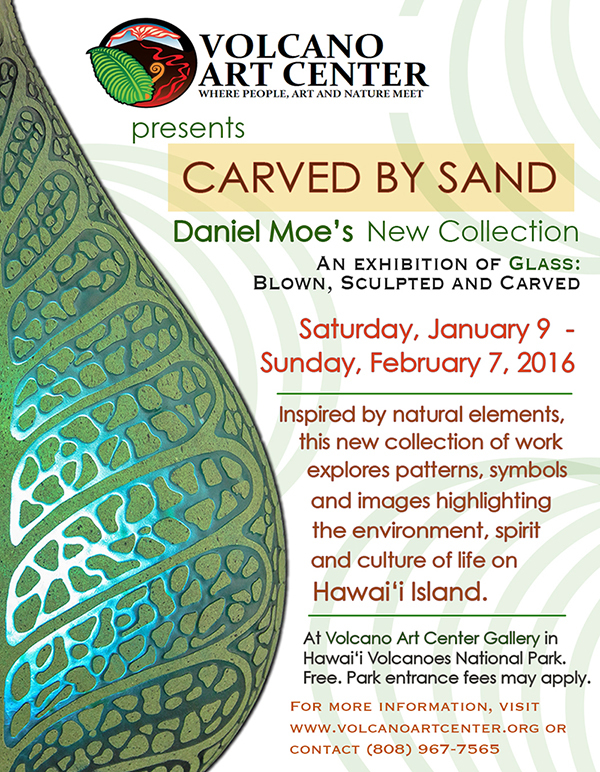 About 20 pieces will be on display from 9am to 5pm daily at the Volcano Art Center through Feb. 7th, 2016. After that, some of these and other pieces will be available at selected galleries in the Islands of Hawai’i and other States. Please feel free to contact us with any questions you may have.